Brazil’s bid to return to the MotoGP calendar for the first time since 2004 appears to have stalled. 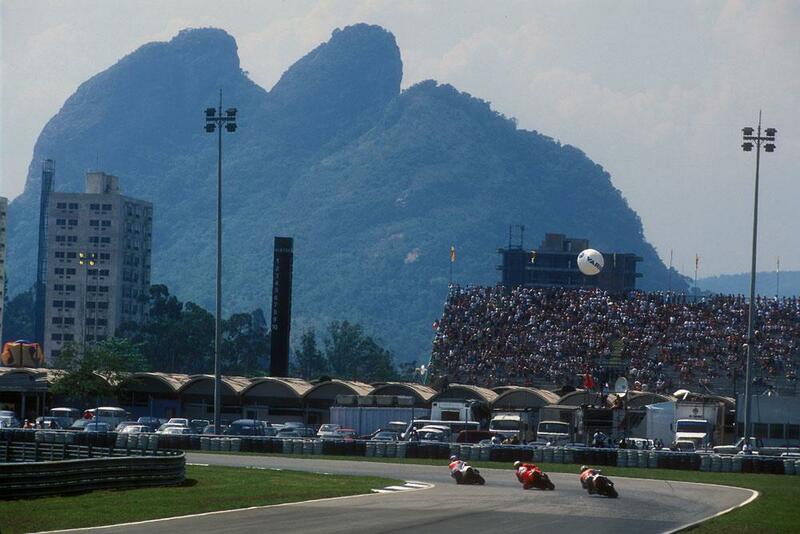 The South American country was pencilled in on the 2014 schedule for a race at the Brasilia track in late September. But a lack of multi-million pound funding required to completely renovate the Autodromo Internacional Nelson Piquet never materialised and the race was dropped from the schedule. Bosses of the Internacional Ayrton Senna track in Goiania then expressed interest in hosting MotoGP in 2015, but that seems highly unlikely after a recent site inspection by Dorna Managing Director Javier Alonso. MotoGP has a foothold back in South America now, with Argentina returning to the calendar this season at the Termas de Rio Hondo track. Talks are also advanced with a new track in Chile that could see World Superbikes race there in 2015, with the venue within a one hour drive of Santiago joining the MotoGP schedule in 2016. Calendar reshuffle on the way? Indy secures MotoGP future, Laguna Seca to be axed?